Our Products - Services and Tools are virtually FREE ! - - - you make a TEMPORARY INVESTMENT in our systems... and then you use our tools to make you hundreds - thousands - MILLIONS ! ---- so if you're a "weenie"... don't buy our products/services... - - - - - - - - - but if you are Mega-Super-SERIOUS .. and truly want to become a CAREER PROFESSIONAL Network Marketer... - - - then we welcome you to join our ELITE TEAM - you can join our family ....... and Captain Dave will work with you personally to help you Succeed ! But you have to be just as committed as WE ARE to achieving your goals !! You’re going to LOSE money if you don’t use these technologies! So…. They’re virtually FREE, right? 9- All non-Dave Klaybor mlm books/tapes 25% off list price!… 50% if you invest over $35 in our Tools. - Shipping and Handling for re-fill sheets are only $3 minimum or 10% re-fill sheet costs whichever is greater. All planner orders s/h are about $17.77 each unit or $25 overnight (continental USA) + 8% Tax to CA, for all other orders 10% USPS… email us for details please. ­ Personal Checks will be deposited and unit shipped when our bank is paid, cashiers checks/money orders/ cc sent next day. Make out check to PowerLine Systems/David Klaybor /w D/L # and exp. date written on it…. Welcome to the PowerLine Team… David Klaybor is now your surrogate sponsor. Use him on 3-way and conference calls to help train yourself as well as your downline group. Get Captain Dave speaking to your group often… he’s FREE ! 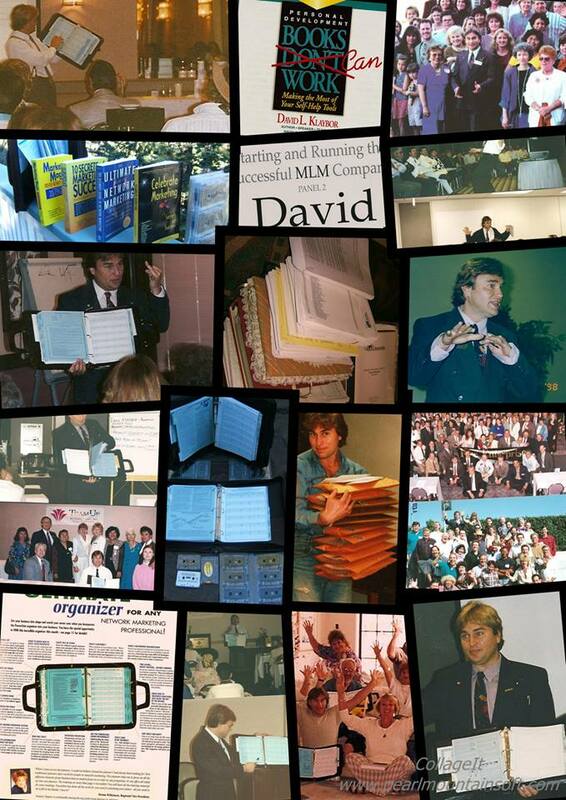 David wrote a column in the #1 NWMing publication in the world… he’s the former Pres. Of 2 NWMing operations and the VP of 2 others. He’s built 6 huge organizations over the last 25 years,… he’s got his name on the cover of 7 books… he’s won MLMIA planner Awards…………… so he knows what he’s talking about and can assist you in building your group ! What do you have to lose… nothing. You have thousands of dollars per month to gain!